This is one of two Fire Stations in the news late last year and were scheduled to be closed. 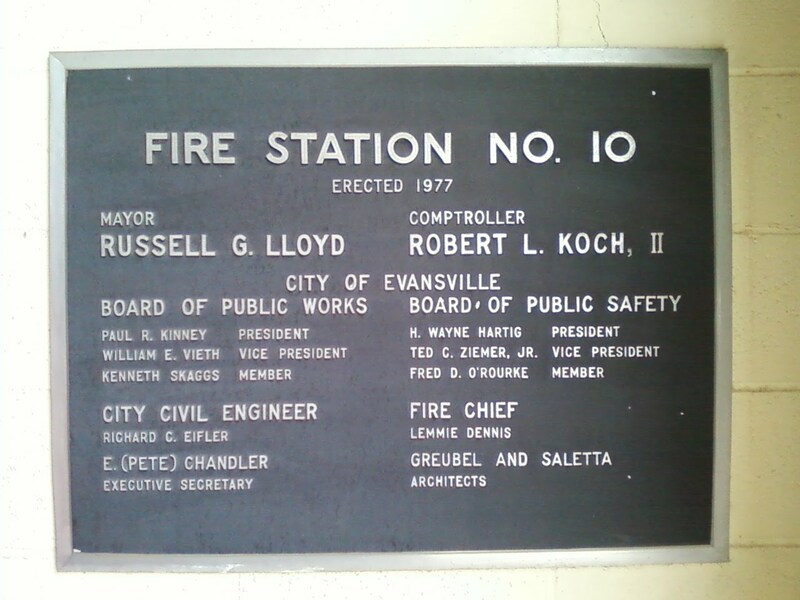 It is one of the larger "Hose Houses" (as they are called) and was erected & dedicated by this plaque in 1977. This is the old station that it replaced. 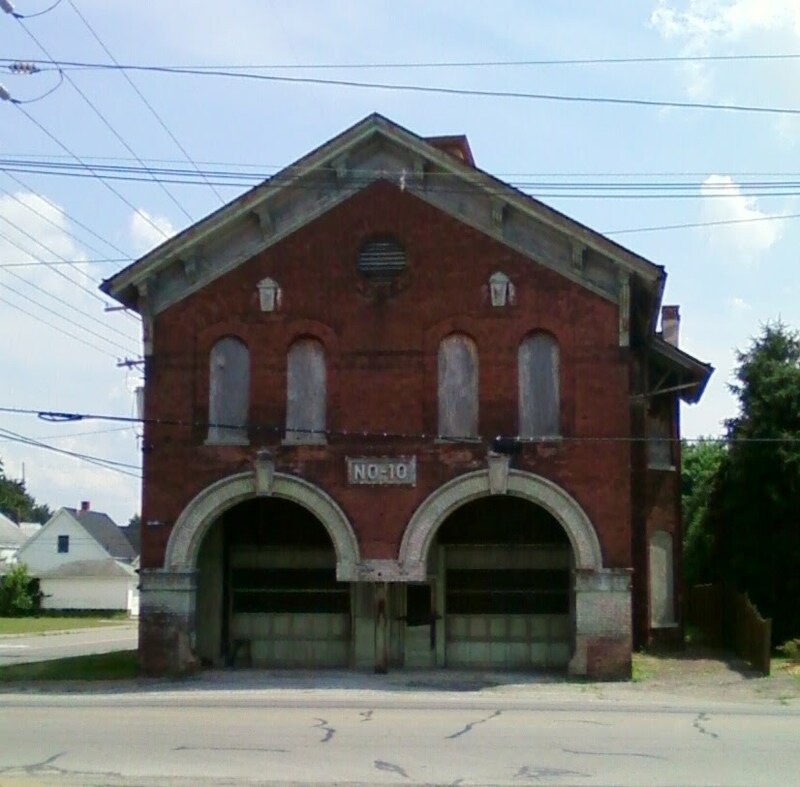 It sits boarded up just across the street from the newer one. 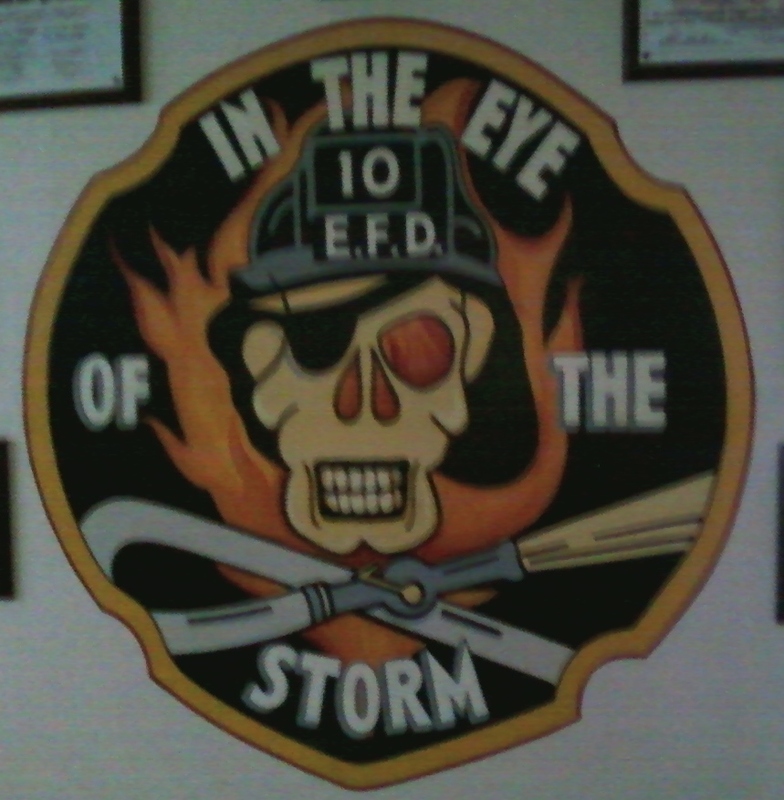 Someone designed and created this emblem that is on the wall next to the certificate awards that the fire fighters that work out of this house earned over the years.